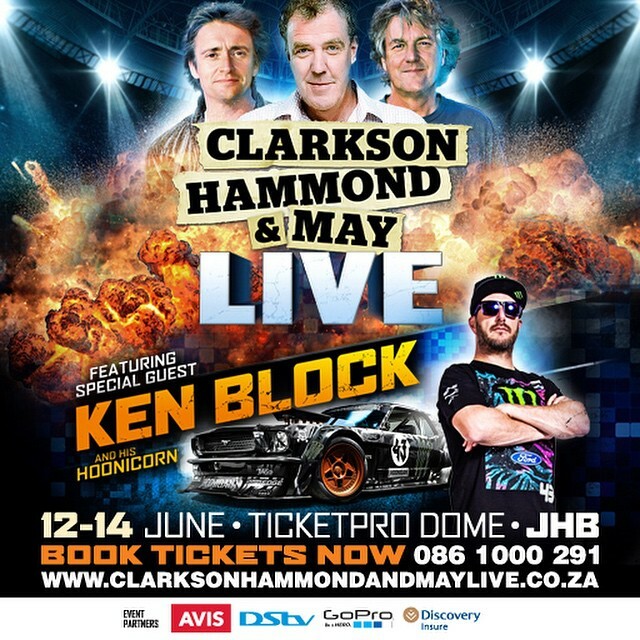 This weekend (12-14 June 2015) Will see Clarkson Hammond and May live at the Ticketpro Dome in Johannesburg South Africa with guest star Ken Block. Formerly known as Top Gear live (for obvious reasons) the show is expected to provide many thrills for petrol heads. One of the stars of the show will be guest Ken Block. There is also a competition where you could meet Ken Block: Tag @WOHZA and #GoProWithKen in a 10 second video posted to Facebook, Twitter or Instagram explaining why YOU are Ken’s BIGGEST fan! As you can see there is plenty action for everyone this year so make sure you get down to the Dome. Tickets range from R395 to R995 with Discovery insure offering discounts for members. 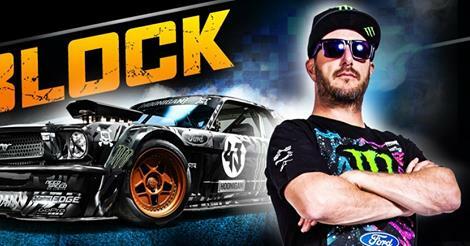 A MESSAGE FROM KEN BLOCK TO SOUTH AFRICA! In an exciting first for SA and Africa as a whole, Ken – dubbed an “absolute and utter motoring hooligan” – will do what he does best inside the Ticketpro Dome, Johannesburg, on the 12th – 14th of June 2015. It will be Ken’s first time on African soil and the only event in Africa on the Clarkson, Hammond and May Live tour, of which tickets are available for 2015 only.